Sunday closing of the Medfield Memorial Library. were stricken and eliminated from the proposal, as not being worth doing for the savings effected. The letter below that I received this week from the Norfolk Register of Deeds highlights for Medfield how, as a town, we all pay in to the Massachusetts Community Preservation Act (CPA) fund ($44,250 last year), but we get none of the monies or benefits back because we have not adopted the CPA. My analysis has always been that where we already spend on those three things anyway, that by not adopting the CPA that we are merely forgoing the state matching monies. The one time the CPA went to the annual town meeting (ATM), about ten years ago, it was defeated. As Gov. Baker pledged to local officials on Jan. 18 at the MMA’s Annual Meeting, his budget includes a $29.7 million increase in Unrestricted General Government Aid, tracking the expected 2.7% increase in state tax revenues. The Governor filed separate legislation to amend the Chapter 70 school finance law, and provided a $200 million increase in school aid in his fiscal 2020 budget recommendation to fund the first year of what the Administration says is a seven-year plan to implement a number of changes to the current law, primarily in the areas recommended by the Foundation Budget Review Commission. 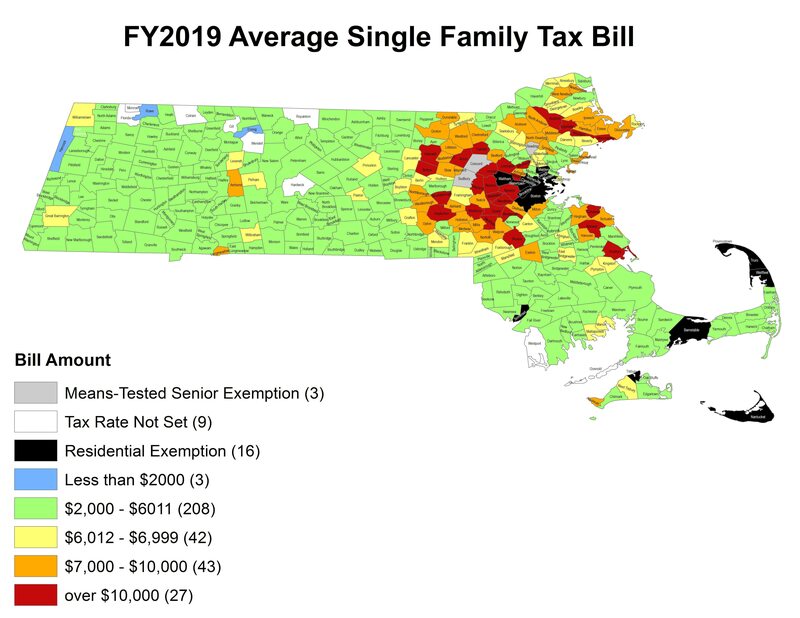 An initial look at House 1 indicates that a large percentage of cities, towns and school districts would not benefit from the formula changes in fiscal 2020, and would remain minimum-aid-only. The budget plan sets the minimum aid increase at only $20-per-student, which would present large challenges for all of these communities. MMA members from across Massachusetts unanimously adopted a resolution calling for at least $100-per-student minimum aid at last week’s Annual Meeting. Further, the Administration is proposing a few changes to the Charter School Reimbursement Program, but this does not come close to achieving the permanent fix that is needed to repair the flawed charter school finance system. Current reimbursements this year are set at $90 million, $72 million below the full funding level of $162 million. The Governor’s budget would increase charter school reimbursements to $106 million, and would change the 6-year funding schedule of 100-25-25-25-25-25 to a new 3-year 100-60-40 schedule, phased in over 3 years, however the plan would also increase the facilities assessment payments to charter schools, and make other changes. The MMA’s immediate analysis is that charter school reimbursements would continue to fall far short, and this restructuring would not fix the charter school finance system. This would continue to divert Chapter 70 funds away from municipally operated school districts, and place greater strain on the districts that serve 96% of public school children. No matter what changes are made to the Chapter 70 formula, major problems will continue unless a true resolution of the charter school funding problem is integrated into any reform or update of the school finance system. The Governor’s budget would add $4.5 million to fund the Special Education Circuit Breaker program at $323.9 million, an increase of only 1.4%. Because special education costs are expected to rise in fiscal 2020, this means that the Governor’s budget substantially underfunds reimbursements. Today DESE officials said the House 1 appropriation would result in a 70% reimbursement, rather than the statutory 75%. This is a vital account that every city, town and school district relies on to fund state-mandated services. The MMA will again be asking lawmakers to ensure full funding in fiscal 2020. Gov. Baker’s budget submission would level-fund regional transportation reimbursements at the $68.9 million amount. This will be a hardship for virtually all communities in regional districts. Reimbursements for transportation of out-of-district vocational students remains significantly underfunded at $250K. Increasing these accounts is a priority for cities and towns. The Governor’s budget would level-fund reimbursements for the transportation of homeless students at $9.1 million. The impact of this funding level will vary from community-to-community depending on the number of homeless families that remain sheltered in local hotels and motels. The Administration has been successful in reducing the number of homeless students who are dislocated from their original district, but those communities that continue to provide transportation to many students may continue to see shortfalls. The Governor’s budget would level fund PILOT payments at $28.48 million, Shannon anti-gang grants at $8 million, and fund library grant programs at $19.8 million.